I'm trying to make more time for reading novels, so a mystery book that talked about wine seemed to be a good way to ease away from cookbooks. 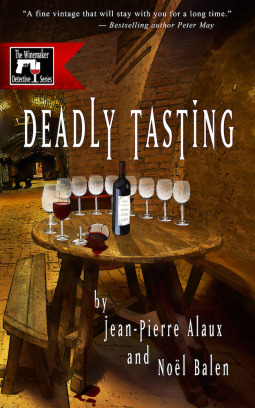 Deadly Tasting was a pretty quick read, and funny along with the mystery. Translated from French, it assumes the reader will be familiar with locales, but that wasn't really an issue - no more than when I'm reading a sci-fi novel where the locations don't actually exist. One note of humor that runs through the book (without revealing the plot, so don't worry) is that the protagonist's wife has decided he's a little too chubby, so she puts him on the cabbage soup diet. My only quibble with this book was that the ending seemed a little bit quick - when it was all done, I wished that it would have been a little bit more detailed and drawn out. But I guess that wanting it to last longer is a good thing. I'll definitely be looking for more of these books. Note: I received a digital version of the book at no cost to me.